As an international award-winning entrepreneur, author and keynote speaker Rahfeal Gordon is able to inspire audiences and help create more positive environments. His extensive work experience and resume provides inspirational keynotes that can impact both individuals and companies. As a life strategist and leadership specialist Rahfeal can enlighten audiences on the importance of positive work environments and team performance. 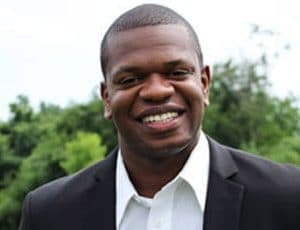 Rahfeal Gordon has come a long way from his hardships of being homeless in the streets of Newark, New Jersey – U.S.A. For almost a decade, he has been leveraging the core fundamentals that promote productivity. Rahfeal provides key insight into the environmental and physical circumstances that impact an individual’s personal and business performance. He knows how to create positive work environments that enhance an individual and team’s performance. Rahfeal is a life strategist, leadership specialist, and innovator of inspiration. School in New Jersey at the age of 15. The company mission was to develop events that provided unity within the high school and college campuses. In 2001, Rahfeal established his first non-profit organization entitled “Team Infinite (T.I. )”, on the campus of Montclair State University and Bloomfield College. In addition to the success of Team Infinite, in 2005, he established the Rahfeal C. Gordon Scholarship Foundation. The Scholarship is designed to benefit high school and college students with average grades, but exhibit exceptional business acumen and entrepreneurial spirit. In 2008, Rahfeal launched RahGor Motivations & Publishing, a company that provides global speaking platforms, management and book publishing services for individuals who have powerful stories, testimonies or expertise in a particular field. He has written nine published books that all focuses on personal development and inspiration. Following the establishment of the RahGor brand, Rahfeal was tapped to be a featured entrepreneur in the AMC Theaters distributed film, TEN9EIGHT, produced by Award-winning producer Mary Mazzio. He is the recipient of the Global Young Entrepreneur of the Year Award for Social Entrepreneurship. Rahfeal is an international award-winning speaker who has addressed notable audiences at places such as Madison Square Garden, Prudential Arena, Library of Congress, Los Angeles Convention Center, Harvard University, Columbia University, Wall Street, and Emprendus in Monterrey, Mexico. He has received high praises by global organizations such as Toastmasters International for his speaking and is considered on of the most dynamic orators of our generation. In regards to awards and nominations Rahfeal has received distinguished acclaim such as: The Ernst & Young Award for Entrepreneurship, NFTE Global Entrepreneurship Award, Mercedes Benz Global Entrepreneur Award, OppenheimerFunds Social Entrepreneurship Award, Man on a Mission Award, Paul Robeson Leadership Award, Fathers for Our Children Award, and Nomination for NAACP Image Award. All topics are spoken from a global and transcending standpoint.